For American Airlines operated flights, the interim process will use the existing framework for load-factor based upgrades. This means that US Airways elites will be eligible for upgrades, but only in those instances where all American Airlines elites have already been accommodated. This process will not allow US Airways members to waitlist for an upgrade. Rather, they’ll have to check at the airport or upon check-in to see if an upgrade is available. 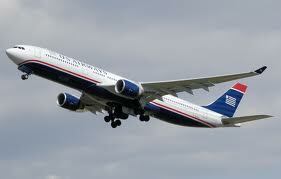 US Airways Chairmans Preferred members will receive complimentary upgrades. All other elites will need to buy 500-mile upgrades (I still nostalgically refer to them as “stickers”). For US Airways operated flights, American Airlines elites will be able to waitlist for upgrades on their day of departure if one isn’t available at check-in. The plan is for AA elites to be folded in at the appropriate status levels. That is, AA gold with US Silver, AA Plat with US Gold and AA Executive Platinum with US Chairman Preferred. Upgrades at check-in will be done on a first-come, first-serve basis. US Airways essentially offers any unpurchased first class seats as a buy-up opportunity at check-in, whereas American generally holds some inventory on certain routes. In this case, all the inventory US Airways used to offer for a buy-up will be complimentary for American Airlines elite members. Then, in August, I received the following email from US Airways signed by Suzanne Rubin who is the President of the American Airlines AAdvantage program. In June, we began offering you the option to upgrade at the time of check-in when flying on American flights. We’ve received a lot of questions, and we want to take a moment to clarify the upgrade process. We know upgrades are one of the most important Preferred benefits, and we want to be sure you receive one when it’s available. For the best chance of getting upgraded, we recommend you are the only passenger in your reservation. Well, I can speak from experience that the upgrade policy is not working the way that has been laid out, either in Ed’s post nor in the email that I received from American/US Airways. Much of what is happening still seems to be at the utter and complete discretion of the Gate Agent. And many Gate Agents simply don’t know what to do or what the policy is. It is no secret that I much prefer the US Airways upgrade system. It actually manages to reward its frequent flyer base rather than just giving those members with Platinum, Gold, and Silver the opportunity to purchase an upgrade. Typically the higher your status, the more quickly your upgrade will process. For a Chairman’s Preferred Member, this is typically around the seven day window, but sometimes, depending on the route and when the seats are opened, may fall within 72 hours of boarding. Platinums, Gold and Silver members will usually clear between the 72 and 24 hour window. I know that my husband, who was Gold for several years and then dropped to Silver because of his bookings being handled by his work travel agent, still managed an upgrade on at least 60% of his flights. It is a great way to reward your frequent flyers. Note, the keyword here is frequent. Not most frequent. Not businessman. Simply frequent. If a Platinum or Gold scored an upgrade before I did, am I going to sit in the back of the plane and feel disgruntled? No. I may have a little twinge of ‘Oh no’ but that’s the way it happens sometimes. I do not believe that simply because you are a business flyer who happens to habitually buy last minute tickets, that someone should be bumped out of an upgrade to accommodate you. That truly begins to smack of that entitlement attitude which is so often ridiculed by bloggers and certain frequent flyer forum members (I am not getting into the megamillion mile flyers here – that is a whole different group). 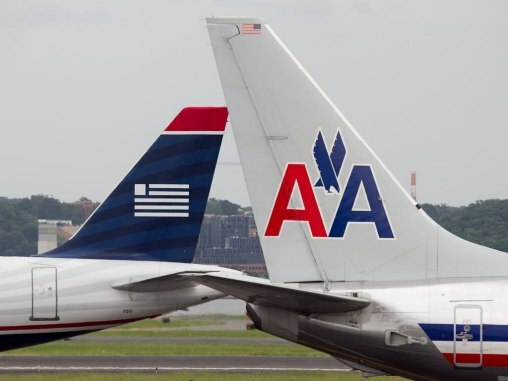 My next two posts will cover what happened to a friend of mine who is an American AAdvantage Executive Platinum on her US Airways flight and what happened to me (a US Airways Chairman) on a series of American flights. Right here in River City! Remember the Maine, Plymouth Rock and the Golden Rule! 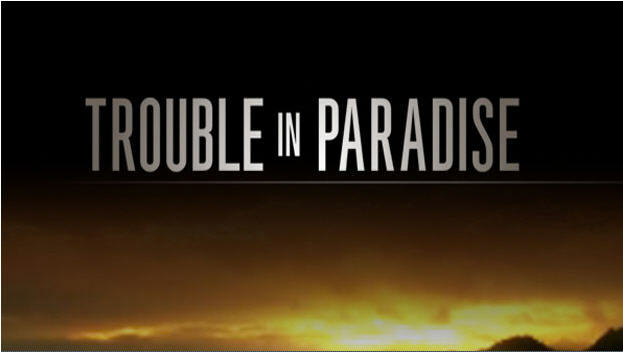 We’re in terrible, terrible trouble. 3 Comments on "No Upgrade for YOU!" Seriously? Have you checked into each area of USAir? #US Airlines.com & no upgrades? There has to be something? I Lub 2 travel! Checking into other areas, I M glad you are home, I felt so bad for you and all. I don’t like this, rethinking of that airline. There are still too many kinks in the system for it to be fair and equitable for either US or AA flyers at this point. Good recount of AA/US upgrade policy and agree that it’s not working as intended yet, or certainly with no transparency to customers. Hopefully they will work it all out eventually, which will make flying the new AA easier for both customers and GA’s!